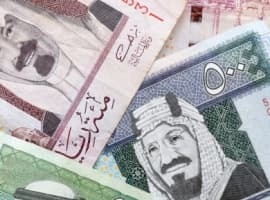 A top Saudi official said on March 15 that Thomas Friedman and other conspiracy theorists are to blame for the crash in oil prices. 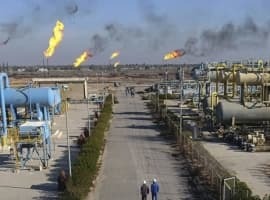 Rather than an oversupply and weak demand causing an imbalance in global oil markets, Dr. Ibrahim Al-Muhanna, the advisor to Saudi Arabia’s Petroleum Minister, said that excessive speculation drove the oil bust. “The recent price fall was due largely to expectation and perception about future supply and demand... and the ever-present – and incorrect – belief in conspiracy theories,” Al-Muhanna said at the Institute of International Finance Spring Membership Meeting on March 15. Al-Muhanna admitted that supplies were building over the course of 2014, but said that demand “remained strong” and that the price fall was unjustified given market fundamentals. After prices started to fall, the media and market analysts drove the narrative to unfounded levels. Rather than a plot between the Saudi and U.S. governments, Saudi Arabia merely made a rational business decision. He said that officials from Saudi Arabia and Venezuela met with Mexico and Russia, which are not members of the oil cartel. They discussed the possibility of coordinating production cuts to keep prices from falling further. After Russia and Mexico balked at cutting their output levels, OPEC decided it could not move forward unilaterally with production cuts, presumably over fear of losing out on market share. As he tells it, OPEC had no other choice. Thomas Friedman aside, Al-Muhanna has a point when it comes to irrational movements in the oil price. He cited the “herd mentality” that takes hold during price swings. 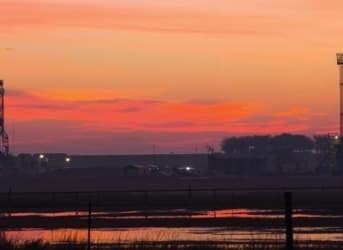 Just as U.S. rig counts began to decline precipitously in December and January, the markets turned bullish and piled into crude oil on the belief that U.S. shale production was facing impending decline. Now that fears are taking hold within the industry that storage capacity is running short, investors are pulling out of crude, sparking a renewed fall in prices. Net-long positions in oil dropped by 2.5 percent for the week ending on March 10, the lowest level in more than two years. Needless to say, oil markets are extremely volatile right now. The CBOE Crude Oil Volatility Index – a barometer of oil price volatility – has hit four-year highs in recent months. The price tends to swing on every new indicator that gets published, with the ultimate trajectory of oil prices for the future none the clearer. For its part, OPEC sees U.S. shale contracting much quicker than it previously projected, with production peaking later this year. In any event, Al-Muhanna remains confident over the long-term. 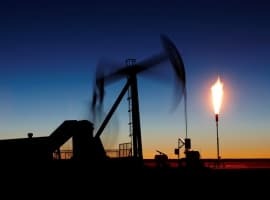 Swelling global population and ongoing economic growth – particularly in developing countries – will mean stable and strong demand for oil for decades to come. And that means oil prices will rise. Unless, that is, conspiracy theorists spark more instability. Isn't blaming Thomas Friedman for the drop in prices a conspiracy theory? There is speculation in every market. It's a fact of life. Unfortunately, excessive speculation wrecks companies and oil workers' lives. The oil and gas markets need stability, not profiteers.